The EU is generally considered the 20th member of the G20. It is different from its counterparts in the sense that it is not a national entity. In addition, it includes both European members and non-members of the G20, creating a sophisticated system for European influence on G20 debates and outcomes. 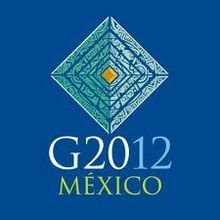 However, analysis of the EU’s role within the G20 remains largely understudied. in M. Larionova (ed), The EU in the G8: Promoting Consensus and Concerted Actions for Global Public Goods (Abingdon: Ashgate), 2012. Learn more and order the book here.